The idea of prehistory, and what prehistoric traces might look like, usually revolves around megaliths and monuments. Yet much more typical remnants of prehistoric activity are far less glamorous – pits, hollows, scoops, scorched earth and scatters of broken stuff. These kinds of negative traces make up the vast bulk of urban prehistory, but they are invisible within our villages and towns. The discovery of such scatters of features is almost always the outcome of chance: during quarrying, in advance of road and housing developments, uncovered as part of golf course improvements. Ironically, the act of discovery goes hand in hand with the act of destruction, because when found, such features can only have one fate – to be excavated and thus destroyed, even if excavation is a form of controlled destruction. Dismantled, photographed and bagged, the urban prehistory is taken away for further analysis. These locations become important, and are then forgotten, almost at the same time, and survive only in a virtual form in different places – a dot on a map, a statistic in a research paper, a stack of paperwork in a box file in an archive somewhere, and ultimately a box of broken old things in a store cupboard. I am intrigued by the nature of such ephemeral traces of prehistoric activities, often of a domestic or pseudo-ceremonial nature, which are serendipitously revealed in the most mundane of circumstances, in stark contrast to the set-piece excavations that the public are more familiar with. This is the grubby underbelly of urban prehistory, the dirty secrets, the smears of pastness that archaeologists have to clean up once someone else has found them. The nature of these places is such that they are quickly forgotten, and certainly not memorialised, because time and money wait for no-one, and a Neolithic rubbish pit is no reason to waste either. A few weeks ago I took a brief stroll from St Mary’s Chapel in Rothesay on the Island of Bute to a nearby industrial estate. By doing this, I was forsaking the chance to spend some quality time in a lovely little medieval chapel, which was recently re-roofed and reconstructed by Historic Scotland, and contains some fine – and weird – gravestones. But the more natural habitat of the urban prehistorian is on the fringes of towns, the edge lands and forgotten spaces, the kinds of places where once upon a time someone stumbled upon some prehistory while going about their everyday job. In this case I wanted to visit Townhead, the location of a putative Neolithic settlement site that was found during quarrying in the 1910s. The discovery of Neolithic pits in this modern quarry pit did not receive the attention it deserved at the time – especially from archaeologists – and yet now we can see it as part of increasing evidence for everyday life in the British Neolithic. 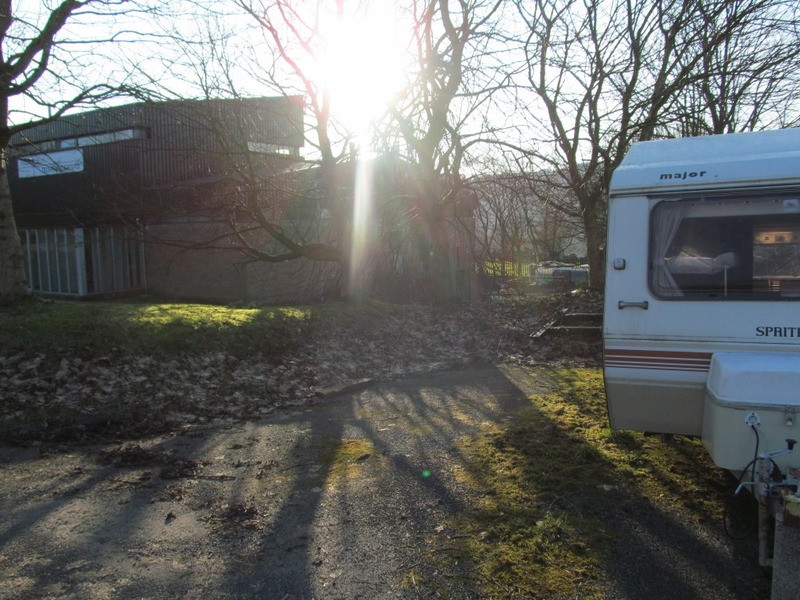 However, on a sunny day in February, all I could see were warehouses, weeds, rubbish and a caravan (and I will come back to the caravan later as part of a strained metaphor). 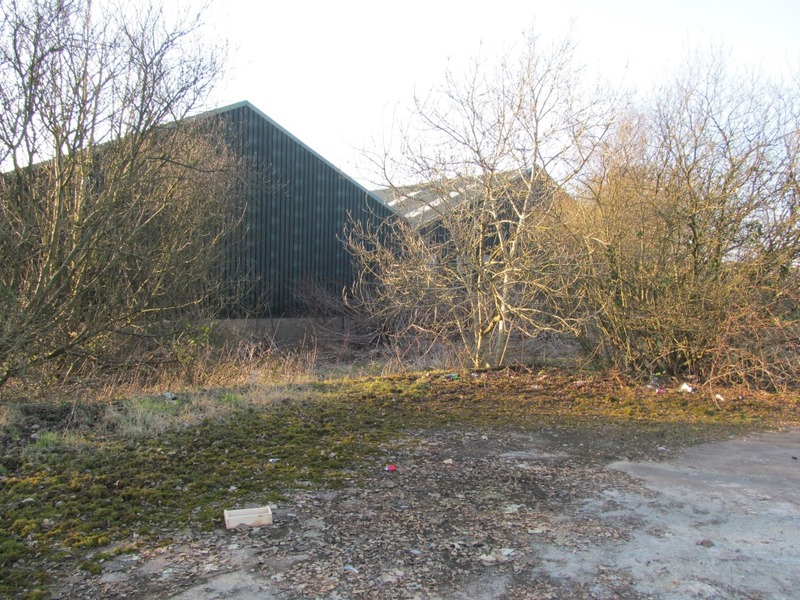 The discovery of the Townhead site is, like so many accidental finds like this, an unremarkable story (and for more background information, this is NMRS site number NS06SE 13). Evidence for prehistoric settlement was found during quarrying of a gravel pit on the western fringe of Rothesay between 1914 and 1919. A Mr Lyle, who leased the quarry pit, found a polished stone axe in 1914 after years of working this quarry. John Marshall, an important figure in the development of archaeology on Bute, later reported (in 1930) that after this event, a ‘sharp lookout was then kept by Mr Lyle and his brother and his man, Dugald McLachlan, for further objects of interest, and in the course of the next year or two, while the gravel was being removed, many relics were found, the most striking of which were a saddle quern and numerous fragments of pottery’. These discoveries were reported to Ludovic Maclellan Mann (a figure who will continue to feature in this blog, and already has done so), who visited the site and considered this strong evidence for a ‘Neolithic village’. Mann gained some publicity for the site, with an article focused on the discoveries published in the Glasgow Herald on 1st August 1919 (as well as in the local paper, The Buteman). Work ended at the gravel pit in that year, although Marshall carried out his own excavations at the location in 1929 with the assistance of Lyle (and this episode of work has been likened to an early example of a ‘watching brief’ by Alex Hale and George Geddes which is a nice observation). Marshall and Lyle found more of the same kind of thing, as well as identifying pits, a ‘hearth’ and a saddle quern and rubbing stone. 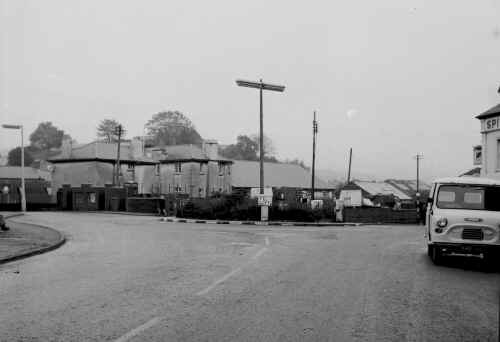 By 1964, when the Ordnance Survey visited this location, the quarry had been filled in and grassed over, and some buildings had been constructed on the site. The intervention of John Marshall was important as, crucially, it allowed this site to be brought to publication with a degree of expertise, over and above Mann’s newspaper reportage. 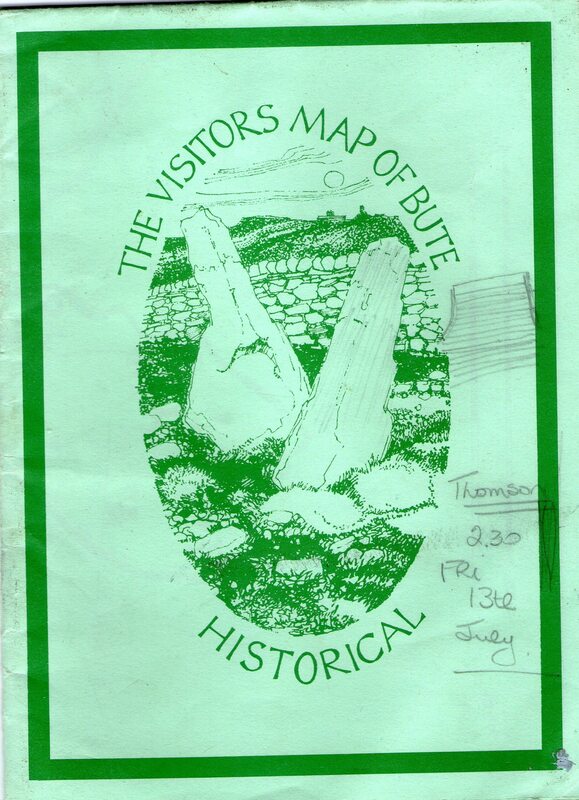 Marshall published a report on the history of the site (the source of much of the information above) in the Transactions of the Buteshire Natural History Society volume 10. His report summarising the biography of the find spot is helpful, with useful plans and nice detail on the processes of discovery. 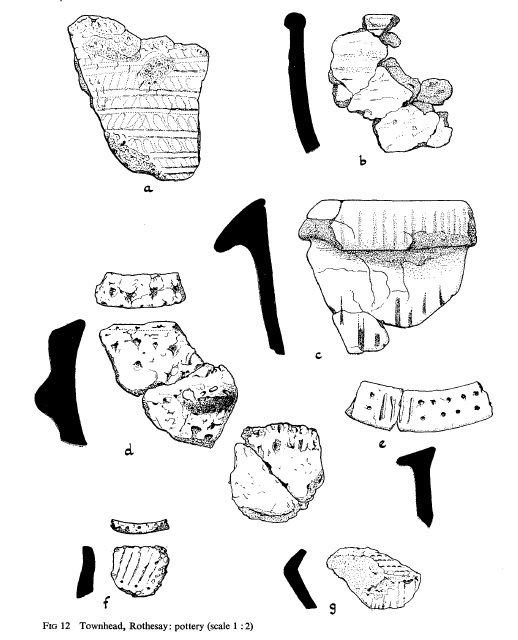 Marshall was able to speculate on parallels for the pottery discovered at Townhead, although at that time he was not to know that the sherds found in Rothesay would become part of the wider corpus of Grooved Ware, a pot style found over much of Britain in the late Neolithic. The possibility that this was some kind of Neolithic settlement site is an intriguing one in the context of the time, because there were few parallels for Townhead in Britain in the 1920s. At this time, such settlement evidence was regarded as indicative of ‘pit dwelling’ although later interpretations tended towards similar spreads of features and materials being evidence for campsites, or settlements where no evidence for buildings survived. (Postholes and slots found at Townhead were at the time of their discovery thought to be remnants of buildings, although this seems unlikely.) The site was mentioned in Stuart Piggott’s classic 1954 book The Neolithic cultures of the British Isles, although this was largely because of the fine Grooved Ware assemblage which had affinities with Orcadian Neolithic settlements. Radiocarbon dates for the site were produced in the 1960s, and these placed the site firmly in the Neolithic period. Nowadays, we would regard this scatter of pits, hollows, fire spots and material culture as indicative of low-level occupation, perhaps by a semi-mobile Neolithic population, with the deposits left behind a combination of rubbish and structured deposits. 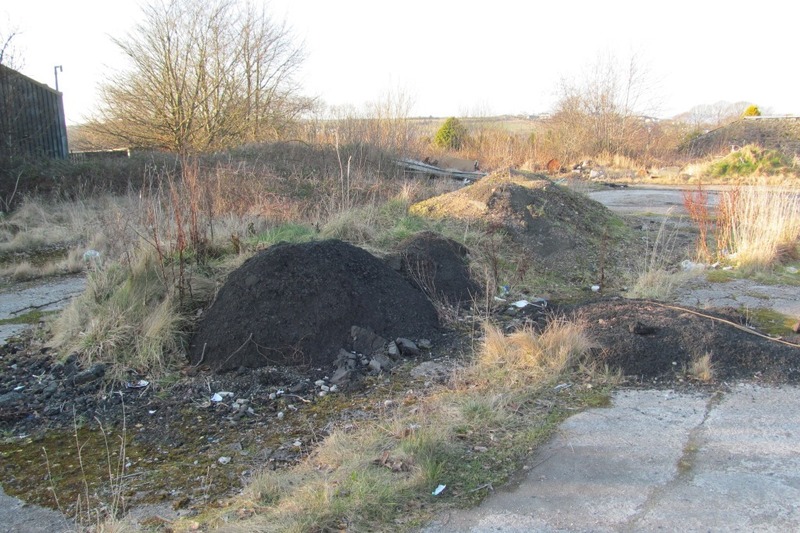 Townhead can be seen as typical in many respects, and dozens of similar sites have been found across Britain in the decades since developers were made to fund excavations of sites they disturbed. 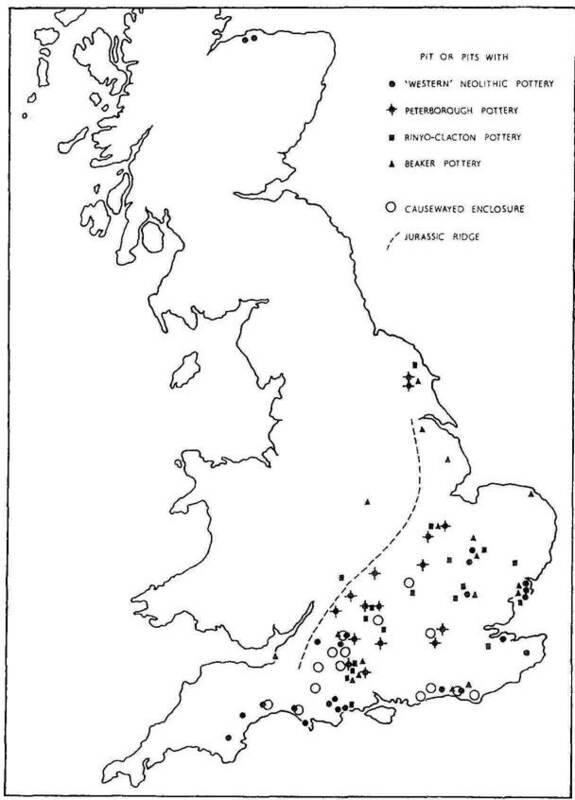 But for decades after its discovery, Townhead was regarded as an isolated example from a very small dataset, as had been the case when the map showing the distribution of Neolithic pits (shown above) was produced in 1964. This map typified the Anglo-centric perspective of some in Neolithic studies at this time, with Scottish evidence largely ignored – this map not only doesn’t include Townhead, but it doesn’t even include Bute! Of course, nothing remains today that would give anyone the faintest idea that Townhead was once a Neolithic settlement. At some point until perhaps fairly recently most of this location was inhabited by some kind of building, which now exists only at ground level. The ghostly outlines of corridors, rooms and the survival of a tiled floor surface (an occupation layer as we would call it in archaeology) are a suitable epitaph for the ghostly remnants of Neolithic activity that the quarrying uncovered and displaced. Further warehouses in the location are almost certainly in places that were occupied in the Neolithic for a range of everyday activities. This area is also marked by a small dumping ground complete with big rusty barrels and burnt stuff, some random piles of gravel and tarmac, and a couple of containers (another echo of the past: deposition was very popular in the Neolithic). The old quarry pit site also has a road running over it, as well as a few still extant warehouses. One of these houses Flexible Technology Ltd, a company that has been ‘manufacturing flex and flex-rigid PCB’s for over 30 years’. (I do not understand most of that sentence.) Beside their austere warehouse is a Sprite Caravan, which may or may not be in use. I guess this is a suitable form of accommodation to find here, given that from what we know about Neolithic settlement, it was probably semi-mobile in nature, and cramped. In many ways, Townhead is a typical 20th century Neolithic site. Discovered by chance (disturbed by economic activity), excavated and recorded, then largely forgotten. This is a tiny snapshot into the lives of a few people who lived 5500 years ago, a snapshot so small as not to register in the consciousness of anyone anymore. 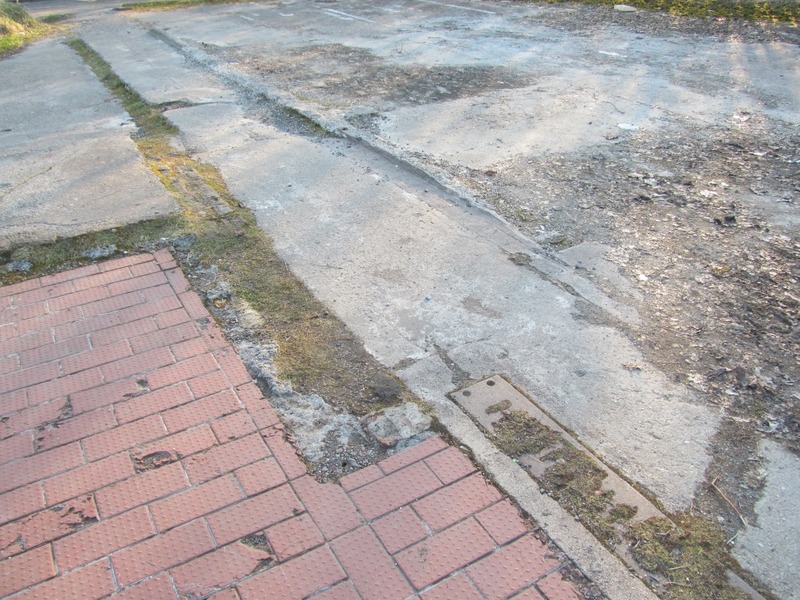 But Townhead is also an important reminder that invisible traces of the past are potentially all around us, in places that have not yet been disturbed or developed. And the discovery of these pits and broken pieces of pottery is, I think, testament to the diligence and alertness of Mr Lyle and others who worked in the quarry who could so easily have missed these traces, or ignored them. 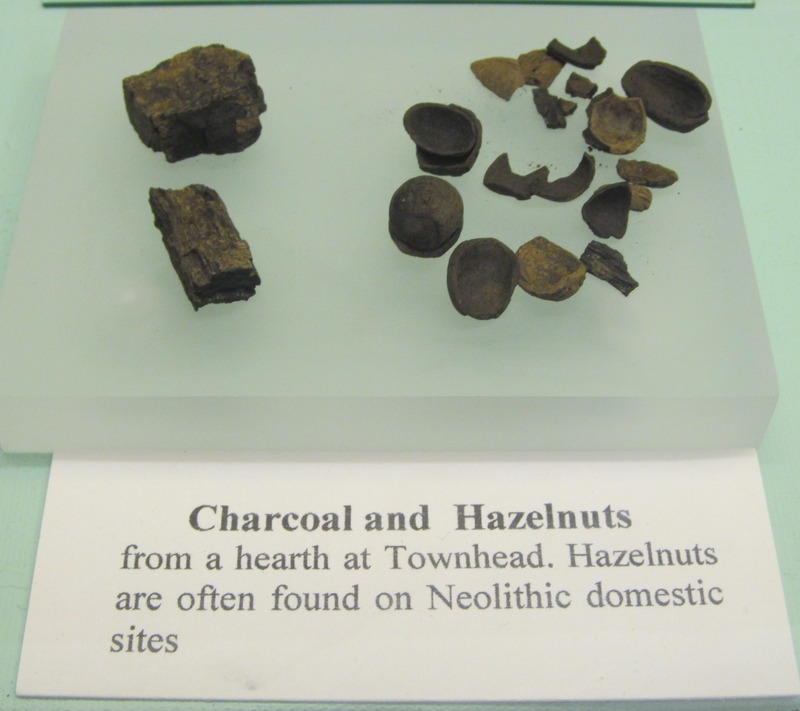 Thanks to this diligence and honesty, we can now all view fragments of past Neolithic lives in a display in Bute Museum, in a gallery with artefacts, documents and photos that capture the lives of people who have lived in Bute in the millennia since the first farmers. We should enjoy such pits while we can, because one day we will stop finding them. Sources: For information on all things archaeological and historical on Bute, you can do no better than consult the 2010 RCAHMS book ‘The archaeological landscape of Bute’ by George Geddes and Alex Hales. This can be downloaded online via the RCAHMS Bute webpage. The first image was taken recently in Bute Museum, and I highly recommend a visit to this museum, or at least to their facebook site. 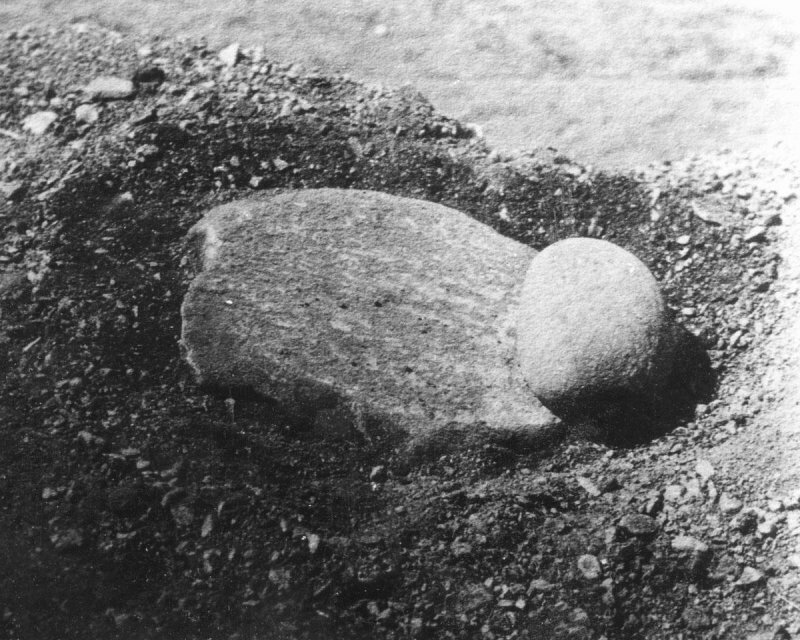 The saddle quern image can be found in various places online, and is an image from the Buteshire Natural History Society archaeology photograph album, and dates to 1918. I sourced the Neolithic pit map from the 1964 Proceedings of the Prehistoric Society, and the Grooved Ware drawings came from a paper in the Proceedings of the Society of Antiquaries of Scotland from 1976-77 by Dorothy Marshall and Isabel Taylor on the subject of excavations at Glenvoidean chambered cairn on Bute (free to download online). For more information on some wonderful work that has being going on related to the landscape and heritage of Bute, go to the Discover Bute website. 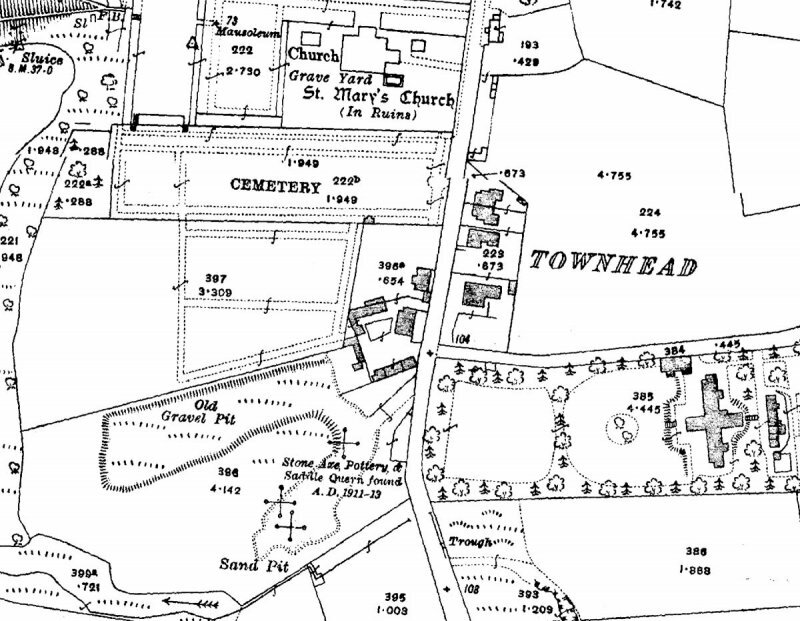 Thanks to Nyree for pointing out the location of Tonwhead as we drove past, which first inspired this blog, and to Paul for his infectious enthusiasm for Bute’s landsape, people and archaeology. ‘You can experience the Minotaur, respond to it, but you cannot negotiate with it, change it or control it. The maze is about the mind, rather than mathematical system’. This blog has been posted simultaneously with a post on the HeritageLandscapeCreativity blog, a ‘simulblog’ on the same thing – the Minotaur. Some architectural spaces are designed to confuse, obfuscate, control, frustrate and manipulate, none more so than the maze, a particular arrangement of walls and corridors, or hedgerows, that has its mythological origins in ancient Greece. The physical and psychological impact of this kind of architecture was brought home to me in a recent visit to the Minotaur, a landscape art installation at Kielder Water in northern England. And wandering within this structure prompted me to reflect on the ways that Neolithic monuments imposed themselves on the movement and the mind of users in prehistory. The complexities of some Neolithic megaliths and enclosures in Britain are comparable to mazes in that they often utilised a series of architectural devices to control movement, restrict access and impact on sensory experience – and that was if you were lucky enough to be allowed into one of these sacred spaces in the first place. But before exploring this is a little more depth, I will introduce the Minotaur. 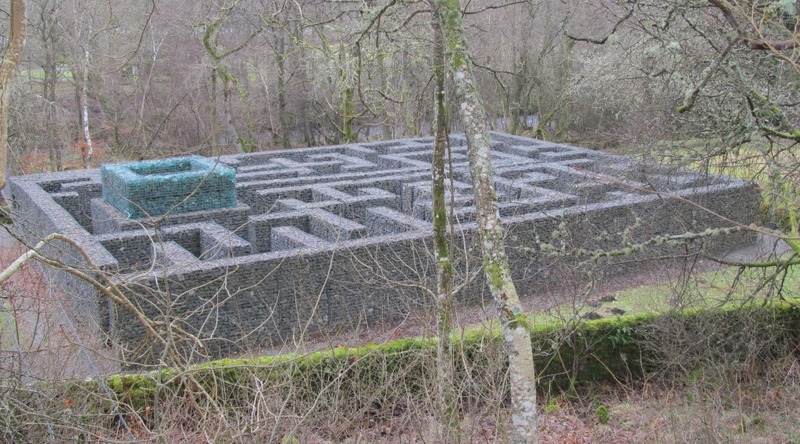 Artist Shona Kitchen and architect Nick Coombe were commissioned to create a maze in 2004 in the shadow of the Kielder Castle Visitor Centre. The structure is a fairly simple labyrinth (at least superficially) and it forms part of the Kielder Water and Forest Park Art and Architecture Trail. After developing plans for the maze in various forms and iterations, construction work commenced, with the foundations of the maze laid out (or exposed) like the footings of a ruined building. The Minotaur maze was completed in 2006 and is a rugged and seemingly impenetrable structure which demands further exploration. Although covering a relatively small spatial area, the Minotaur appears to be a dominant and massive structure when one stands at the single formal entrance outwith the 2m high external walls. The most immediate thing that struck me was the materiality of the structure, made of shattered rock and glass fragments, yet cleanly geometrical with sharp angles and corners, and straight, flat and even walls. 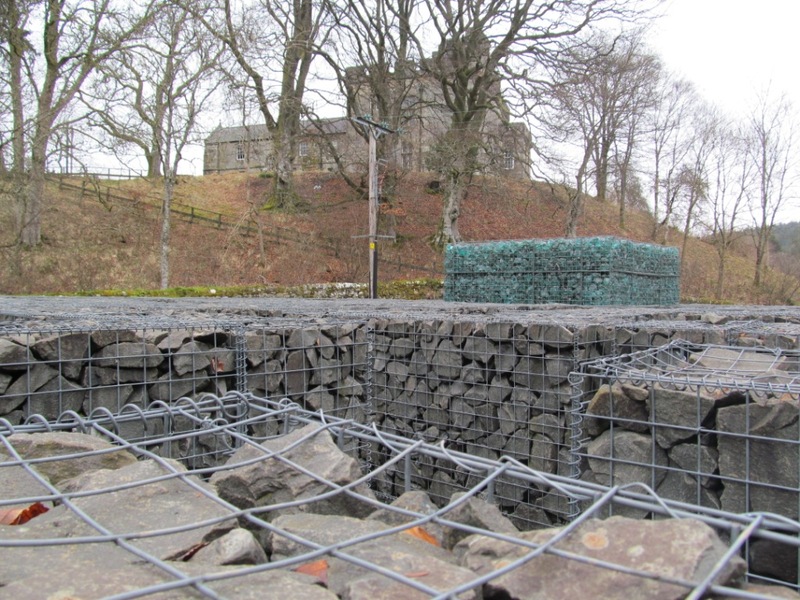 The majority of the walls of the maze are constructed from fragments of local grey-blue basalt contained within a steel mesh (a sort of superstructural cage I suppose) allowing straight wall faces, corners and angles to co-exist with random lumps of rock that form the core of the wall. Towards the centre of the maze, a spectacular square space is defined by green recycled glass (sourced from, I assume local, ‘industrial glass kilns’). Again, these shards of glass were contained within a steel mesh. The glass walls marked an inaccessible room within the maze, frustratingly always just out of reach, around another corner, or glimpsed through impossibly narrows gaps in the basalt walls no-one could ever pass through (not even Gavin who visited with me!). The aspirations of the Minotaur are worth reading. 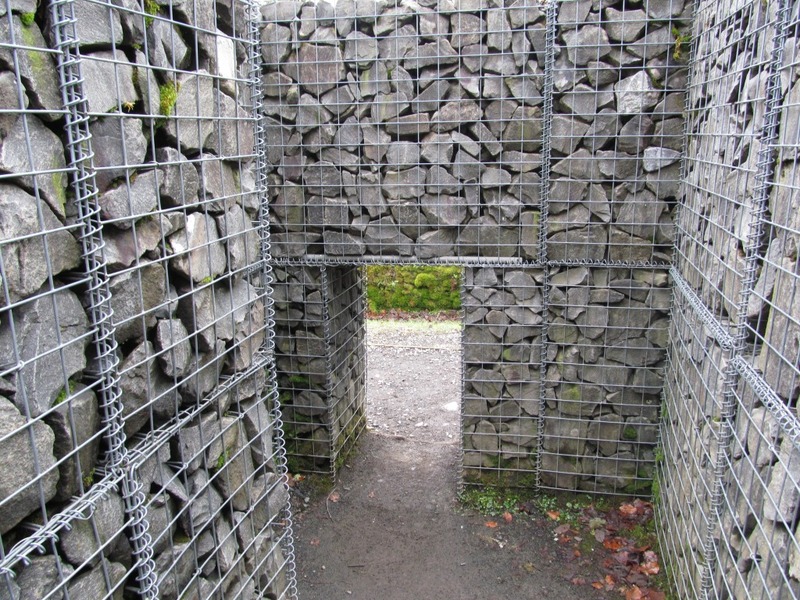 The “maze deliberately uses a rugged walling system comprised of ‘gabions’ to suggest a certain dark purpose and strength, and a room of glittering glass to offer a delicate goal that visitors must find. The structure plays with the notion of a traditional building, deconstructing it so that usual features such as walls, doors, windows and stairs still exist, but not necessarily where you might expect to find them.” This aspirational description hints are an artwork that is interactive and infuriating, fun and frustrating, and reminds me that Gavin and I were unable to reach the delicate goal on our visit. Within the maze, I soon found that what started as a fairly simple experience was actually deeply complex and interesting. Although there were no real points of ‘decision’ as within traditional garden feature mazes, even following the single route around the maze revealed unusual angles, extremely narrow gaps, voids in the external walls, and dead ends. 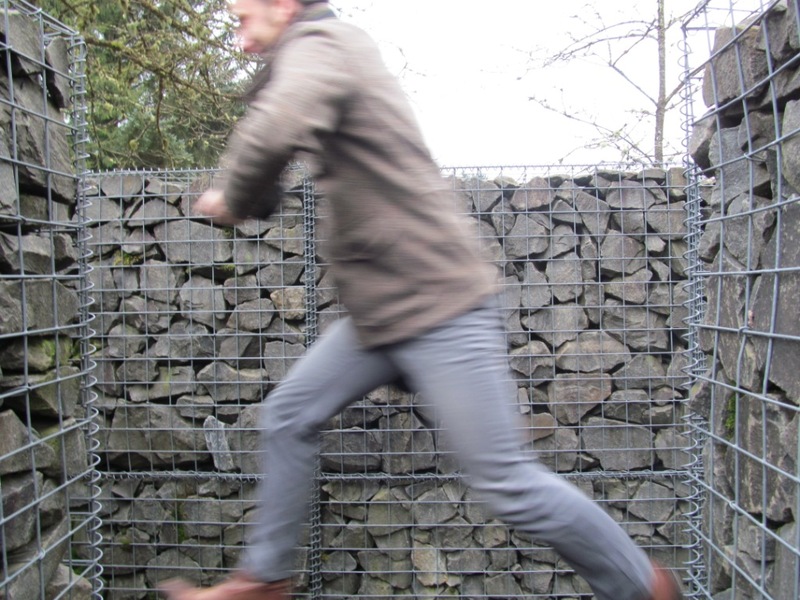 The walls are tall enough to ensure one cannot see over them, but in a couple of places, gabion blocks are provided that one can climb on to peek over the top of the structure. Our curious inability to get to the centre of the maze was frustrating, although at the time I happily accepted this as a design feature I was supposed to appreciate. As I spent more time within the Minotaur, I noticed that in some places the basalt was gradually being colonised by lichen and moss, and in a few damp corners, the maze was sprouting weeds. The transformation of cold hard materials by invasive vegetation is a common feature of many megaliths and this juxtaposition turned my mind to prehistory. One aspect of the maze that I found intriguing was that the walls were robust, but also porous. Occasional slits, ‘windows’ and even a very small doorway breach the maze exterior in a few places. And the latter – a small rectangular opening less than 1m in height and 50cm width – immediately reminded me for some reason of the entrance to the late Neolithic tomb of Maes Howe on Orkney. In both cases a stone wall has been breached by a rectangular opening, and a perfectly regular cuboid passageway connects the interior with the outside world. This is all the more remarkable at Maes Howe, where the huge stone blocks that flank the passageway have been fitted together with spooky precision. The mini-passage at the Minotaur and the marginally larger – and much longer – equivalent at Maes Howe are both awkward entranceways. This would have had a major impact in the late Neolithic example, as movement along the passageway sometimes would have entailed carrying bones or bodies into and out of the tomb. Physical awkwardness seems to have been a recurring theme in the design of many late Neolithic enclosures, as was the architecture of exclusion and confusion. It has long been recognised that the arrangement of posts, fences, wattle screens, standing stones and pits within Neolithic henge monuments in particular was to a great extent about controlling users and restricting access (and such features were often additions, as access became less easy and more controlled through time). As with my Minotaur maze experience, enforced bodily movement and sensory control, sudden changes in perspective, confusion, glimpses of things happening and disembodied sounds, frustration and the deliberate exploitation of local materials and their material properties were all aspects of henges and associated stone and timber settings. Neolithic enclosures were probably places where unusual (certainly special, perhaps downright weird or antisocial) things happened; they were enclosed spaces with narrow and sometimes blocked entrances, and once inside you were in a different world perhaps unable to see the surrounding landscape due to substantial earthworks. Henges, like mazes, became places to confuse and befuddle, because entering a Neolithic enclosure was a special experience, one not open to everyone, and whatever happened inside was supposed to be memorable. 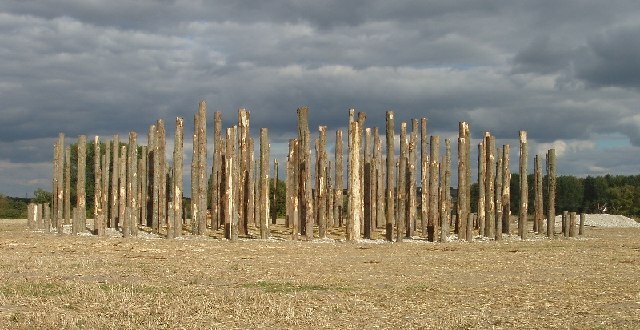 The architecture of confusion is evident at a series of late Neolithic henge and timber circle structures. This is nowhere more evident than at a series of bamboozling settings of timber uprights in Wiltshire, notably Woodhenge and The Sanctuary. At Woodhenge, at least six concentric oval rings of standing timbers have been identified, while at The Sanctuary, a double stone circle was also preceded by six rings of timber posts. Intriguingly, at both of these monuments (subject to a very useful comparison by Josh Pollard in 1992) there is the possibility that all of the posts stood at the same time (as opposed to one timber circle replacing another). These monuments, then, would have been mazes of scores of tall timber posts. In plan, these just about make sense, with ‘corridors’ suggesting some routes of movement between posts and circles (although we should not assume the easy option was always taken). Pollard suggested ‘formal patterns of access, movement and exit’ were imposed in order for one to negotiate oneself between posts and circles. Getting to the central area (the goal of any maze) could only be achieved by ‘a pattern of movement that was both radial and linear’. This would have been more problematic at The Sanctuary if the standing stones had also been contemporary with the timbers, further restricting access. Pollard notes that, again rather like a maze, movement within Woodhenge and The Sanctuary would have involved ‘denial of visual access, and hence evaluation, of the activities taking place within the centres of the monument’. In plan, like mazes, these sites tend to make sense. But when experienced on the ground, these Neolithic timber mazes may well have been bewildering places where light was limited, movement awkward, and it might have been unclear (other than from sounds and glimpses) exactly what was happening around you. Rather like entering a maze with no plan or strategy, those who entered Woodhenge may have periodically got lost, or had frightening experiences. That these monuments would have been confusing and imposing is suggested by the external view of Time Team’s 2005 reconstruction of the Durrington Walls Southern Circle, yet another late Neolithic setting of six concentric circles of timber posts (pictured above). Movement within late Neolithic enclosures was sometimes, like a maze, a confusing business, with decisions to be made. 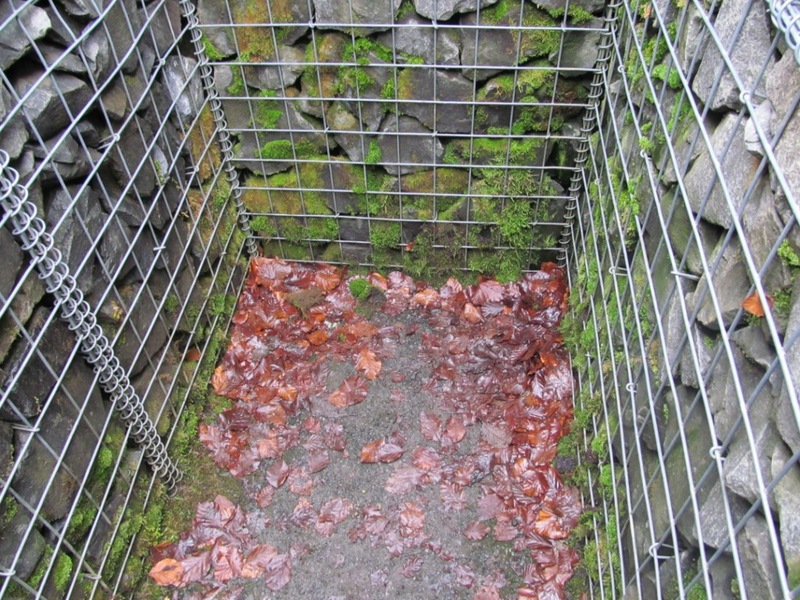 In some cases, those allowed inside the enclosure may well have had a very clear idea of the rules governing movement in order to allow safe arrival at the ‘centre’ or focus of the monument. In other cases, participants in ceremonies may have followed a guide, or perhaps even been left to wander alone, with no map, plan or rules to follow. There are a surprising number of different rules that have been developed for solving mazes, which range from random approaches, to ‘always turning left’, to more sophisticated algorithms. And I know of at least one henge algorithm, developed as part of the reconstruction of Milfield North henge and timber circle at Maelmin (back in Northumberland where we started). 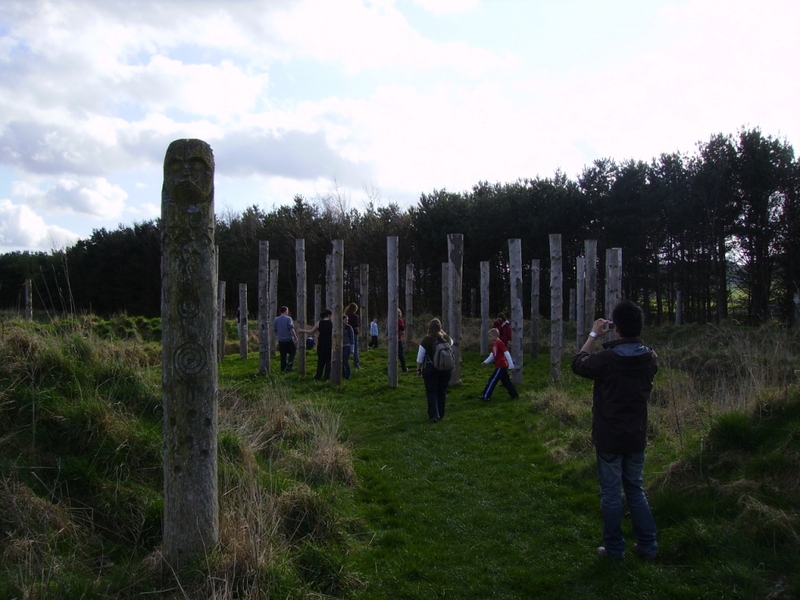 Milfield North henge was excavated in the 1970s, and was shown to be an unusual henge with an internal and external timber circle. In 2000, a team led by Clive Waddington instigated the reconstruction of this henge; 10% of the monument was built Neolithic-style (with useful insights into the construction process), the remainder by machine. At the end of construction, a ceremony took place, which included a ‘ceremonial procession through the henge’. And this may well be the same ‘processional route’ that visitors to this henge today are encouraged to take. 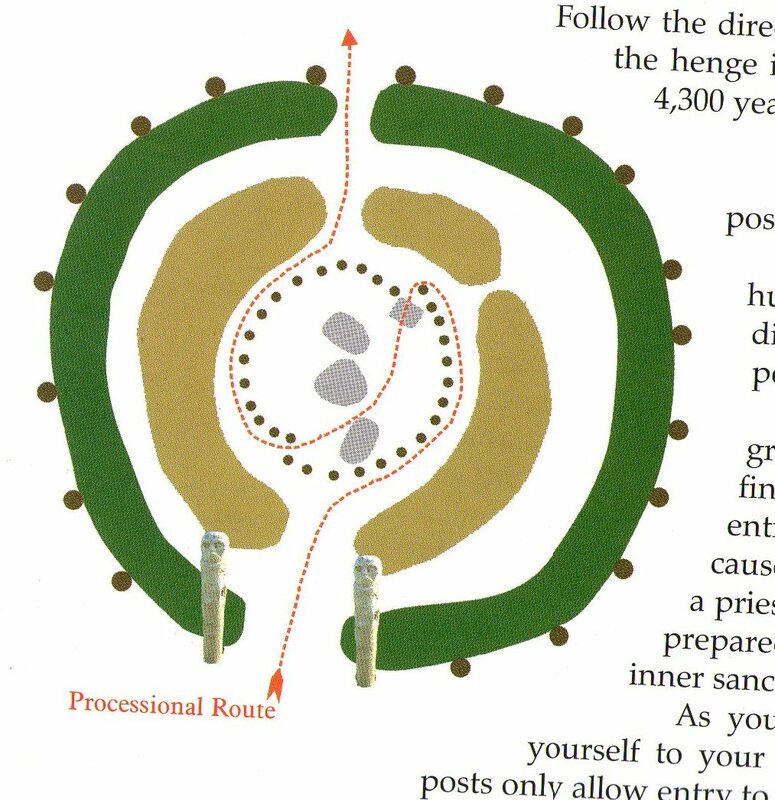 Illustrated below, this winding routeway was suggested by the arrangement of internal features within the henge, and has a maze-like quality, leading willing participants in one entrance, winding towards the inner sanctum, before leaving via the exit. If only all mazes were so simple. My visit to the Minotaur made me think about how engagements we have with built spaces can be confusing and inspiring at the same time. Most buildings that we enter have to be negotiated through a series of decisions, although often we have knowledge of which door or direction to take, or we can follow signs. In the Neolithic, knowledge of how to negotiate henges and other ceremonial spaces may have been restricted to a few individuals, and others would have had to stand outside and listen, or allow themselves to be guided. Yet reaching the goal, no matter how awkward physically or psychologically, would have been all the more memorable for the maze-like quality of the journey…..
Sources: The quote that starts this blog post is taken from the signboard at the entrance to the Minotaur. Information on the Minotaur came from the Kielder Water and Forest Park Art & Architecture Trail Guide, which can be downloaded free. Further information on the ideas behind the maze can be found on Shona Kitchen’s website. 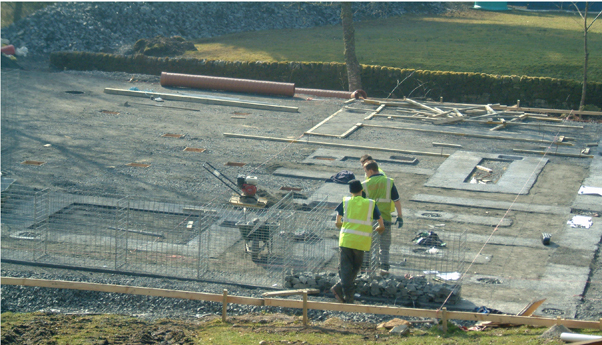 The quote about the Minotaur ethos, and the construction photo, were both sourced from the Kielder Water and Forest Park website. 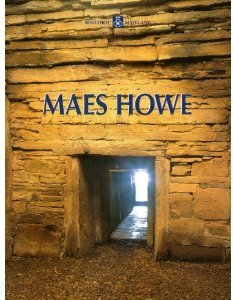 The Maes Howe image is the cover of the old pre-World Heritage Site guidebook to this fine Neolithic monument. 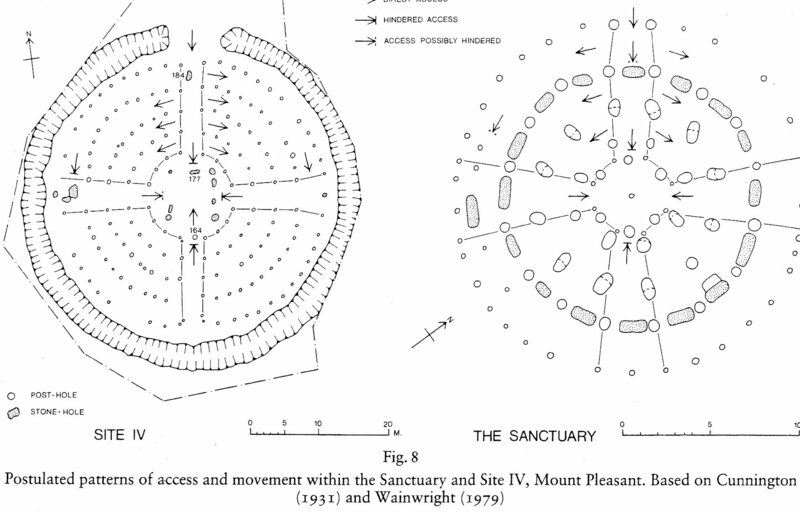 Josh Pollard’s interesting 1992 article is ‘The Sanctuary, Overton Hill, Wiltshire: a re-examination’, from volume 58 of the Proceedings of the Prehistoric Society (pages 213-226), and this is the source of the annotated Woodhenge / Sanctuary plan. The Time Team reconstruction image can be found widely online. The Maelmin henge reconstruction and processional routeway information came from Clive Waddington’s excellent booklet’ Maelmin An archaeological guide’ (published 2001) and this is the source of the Maelmin plan. I was accompanied on this trip by Gavin, who inspired the idea of our joint blog. The National Monuments Record of Scotland (NMRS) is a wonderful thing, accessed remotely via the CANMORE portal, offering a window onto tens of thousands of mostly old things around Scotland. I use the word ‘thing’ here because it is difficult to summarise the content of the NMRS without recourse to such a vague term. At a slightly more specific level, the kinds of things you can expect to find while browsing in the NMRS includes archaeological sites, historic buildings, material culture, shipwrecks, cropmark sites, events (such as watching briefs or surveys), natural features, public art and sculptures, and perhaps surprisingly, some very modern phenomena such as tower blocks and – much to my amazement – roundabouts. I stumbled upon the NMRS category ‘roundabout’ when exploring the urban prehistory of East Kilbride (note to self: there is not much urban prehistory in EK, but there are many, many roundabouts). I could not resist exploring a little further. The term roundabout is contained within the NMRS Thesaurus of Monument Types, and defined concisely as: ‘A circular construction at the intersection of two or more roads to aid the passage of vehicles from one road to another.’ This definition has a certain poetic quality to it. The term roundabout exists within a hierarchy of terms, which widen out to Road Transport Site and then more widely still, simply Transport. (As an archaeologist, I would define a roundabout as a circular or oval space upon which no-one is intended to set foot enclosed by roads.) Although circular junctions existed in various places earlier in the twentieth century, the widespread use of roundabouts on Britain’s roads dates back to as recently as the 1960s. 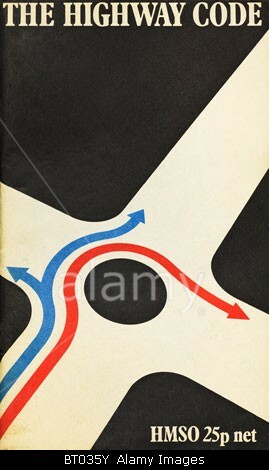 The roundabout as a formal junction type was introduced by Transport Research Laboratory engineers, followed soon by legislation to standardise the use of roundabouts, that is, the ‘offside priority rule’, which was passed in 1966. The mini roundabout was first created in 1976, the invention of Frank Blackmore. The role of roundabouts is very simple: they keep traffic flowing at junctions in a way that traffic lights and other types of junction could not. This fascinating road engineering history takes us little closer to finding out why ‘roundabout’ is a class of monument within the NMRS. To investigate this further, I searched the NMRS using the keyword ‘roundabout’ to see what kinds of things had been included. In fact only two roundabouts in all of Scotland have actually been given their own NMRS number; most of the search results (24 in total) relate to sites with some connection to a roundabout in their location or name. For instance, in one case a roundabout is included almost incidentally because it contains a sculpture of two beavers at the entrance to Beaverbank Business Park in Edinburgh (NMRS number NT27NE 1682). The two NMRS roundabouts are, perhaps not surprisingly, in two of Scotland’s new towns. The first of these is the Torrance Roundabout in East Kilbride. This traffic island sits on the south side of the town, on the junction between the A726 Strathaven Road, Greenhills Road and Torrance Wynd. The presence of this roundabout in the NMRS is inexplicable (it has NMRS number NS65SW 181, grid reference NS 64625 52026). I visited this roundabout and found it to be a featureless traffic island without even a hint of landscaping within the centre, nothing more than a flat-topped low monoblock round mound with road signs and a single advertisement perched on top. In a town that is, in a sense, defined by its roundabouts the Torrance Roundabout is not even the most interesting roundabout in East Kilbride. In fact, there are well over 60 roundabouts in EK, part of the vision of the town’s New Town Development Corporation which existed between 1947 and 1996. Roundabouts should be viewed within the context of the utopian ideals that lay behind the development of Scotland’s post-war New Towns: modern, clean and efficient creations that facilitated the smooth flow of traffic. Now, most just of these roundabouts just look a bit shabby. 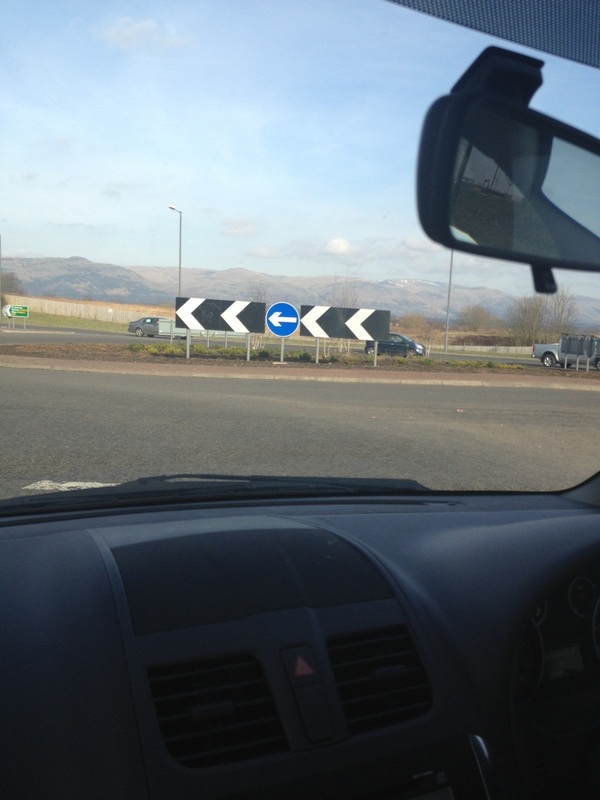 The other roundabout named in the NMRS is in one of Scotland’s other New Towns, Cumbernauld. The inclusion of Muirhead Roundabout (NS77NE 181) is equally puzzling. Three very nice aerial photographs of the roundabout and adjacent tower blocks are included in CANMORE for public access and show more of an intersection than a roundabout, essentially a means to connect a series of local roads with the main A8011 which runs below. The presence of some artworks beneath the roundabout – ‘neon waves’ – on the side of the A8011 does not appear to be the focus of the photos. 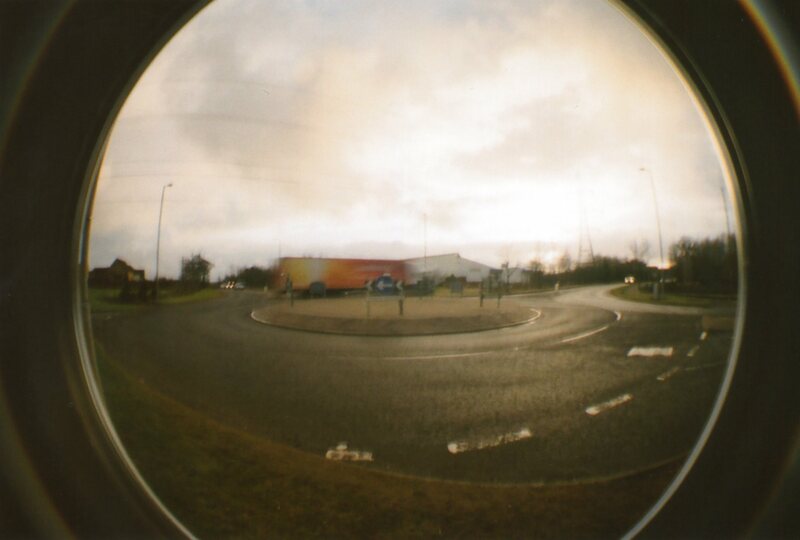 This roundabout served as a useful detour for traffic when the Olympic torch relay passed nearby on 28th May 2012. I did not visit this roundabout in preparation for this blog although in the past I may have driven beneath it. Roundabouts are found at junctions, road confluences, and are nodal points in our transport system, and so in some ways at least they function rather like some monuments would have in prehistory. And so it is intriguing to think about roundabouts which sit in locations that were important in the past. 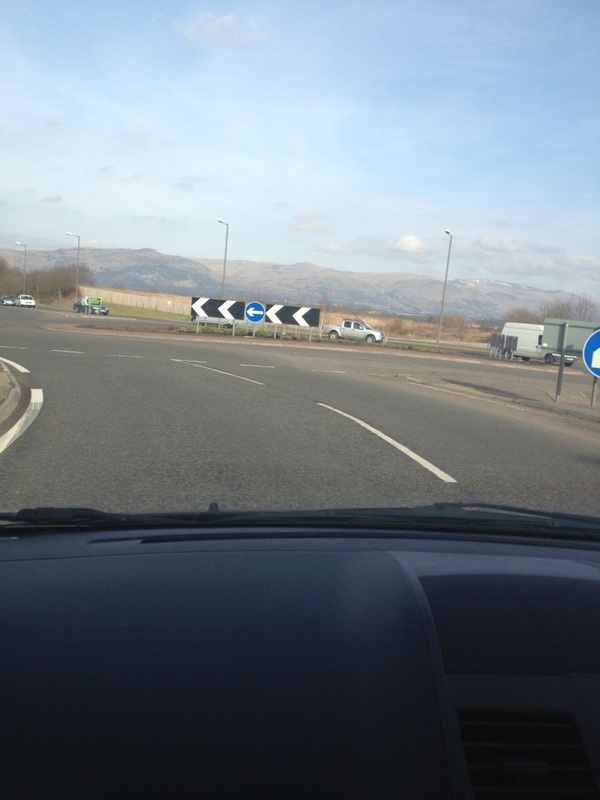 One example of this is the Greenyards Roundabout, on the edge of Bannockburn, Stirling, which was constructed in 2010. I went to this location in November of that year specifically to visit the site of a Neolithic monument that had once stood in this place. This was a complex of early Neolithic postholes and pits, remnants of a timber cursus monument with adjacent u-shaped pit-defined enclosure (NMRS numbers NS89SW 24 and 22 respectively). These monuments were excavated by the Central Excavation Unit in 1984-85 ahead of the construction of a housing development and the ‘Stirling Eastern Distributor Road’ (the A91). Now destroyed, or only with ephemeral vestiges surviving under tarmac, houses and gardens, nothing can be seen of the ghostly traces of this prehistoric ceremonial complex. The Laurinda Bed and Breakfast lies over part of the western end of the cursus. 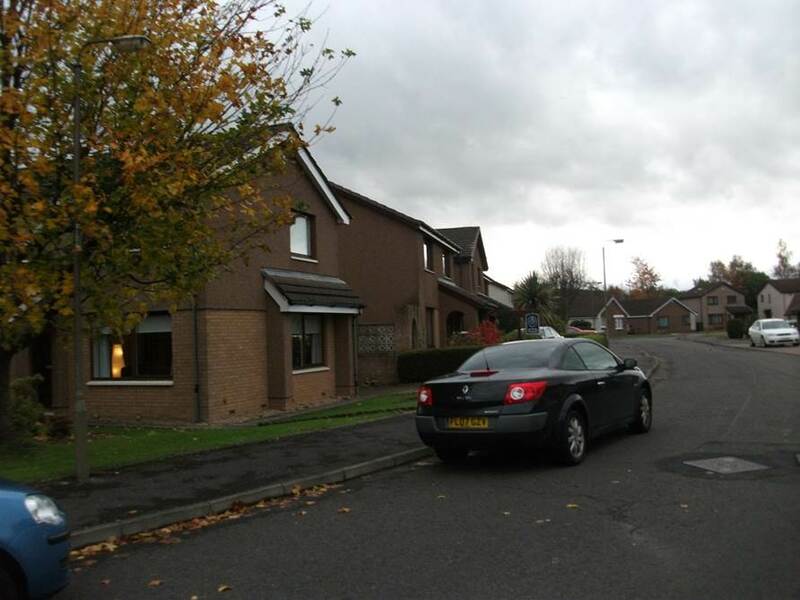 This complex suffered a further intervention between November 2009 and February 2010 with the construction of a new roundabout where the Cowie Road meets the A91 on the eastern fringes of the housing development, adjacent to a bus depot. This location is just to the north of the two aforementioned early Neolithic enclosures. Excavations revealed one or two later prehistoric roundhouses (one of which dates to the middle of the 2nd millennium BC) as well as assorted postholes and pits (see NMRS NS89SW 155). This cluster of features is, in a sense, unremarkable, and fits a pattern of later prehistoric settlement in the vicinity in the form of Iron Age enclosures found during the 1984 campaign of developer-funded fieldwork to the north. But the recurring significance of this landscape revealed by all of these excavations is interesting: hints of Mesolithic activity, Neolithic ceremony and fire-lighting, Bronze Age roundhouses, Iron Age fortification, indications of Medieval activity in the form of ‘black oat’, post-medieval rig and furrow agriculture, bus hanger, an A road, housing estate, with the roundabout merely the latest aspect of the biography of this location, a location with splendid views of the Ochils to the north. JG Ballard’s 1974 book Concrete Island tells the parable of an architect who has a car accident while commuting and crashes into a traffic island in a tangle of roads, junctions and intersections. 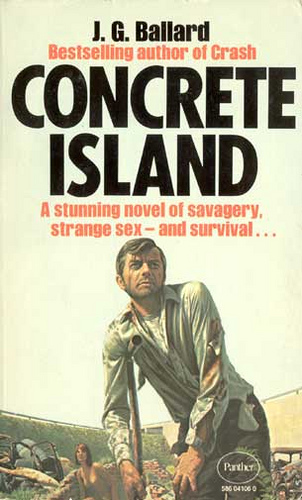 He becomes trapped on the island by a wall of roads and cars that he can neither pass, nor flag down. The transgression of actually being in the middle of a roundabout is viewed by Ballard as a modern parable for the commuter lifestyle and the dis-association between people caused by cars and roads. And indeed being in a roundabout is a strange sensation, as I found out when visiting the middle of the Torrance Roundabout. I had a strong sensation that this was somewhere where one should not go, and once there, it can be difficult to get off again safely. People in passing cars stared at me disapprovingly. Standing on a concrete island is an anti-social activity and leaves you vulnerable and exposed. My recent experiences at Torrance and Greenyards were in stark contrast. I visited the thoroughly modern EK roundabout on foot to experience its featurelessness, but drove round the Greenyards roundabout a few days later, conscious that I was passing over a place that had been significant for thousands of years. The ways that our experiences of the past are mediated can entail many different methods: by foot, by car, by bike, bus or train. And as ever, the past has become entangled in the present because even today we are still building monuments. Sources: For more information on the Bannockburn cursus excavations in the 1980s, see Rideout, J.S. 1997 Excavation of Neolithic enclosures at Cowie Road, Bannockburn, 1984-5. Proceedings of the Society of Antiquaries of Scotland (PSAS) 127, 29–68. 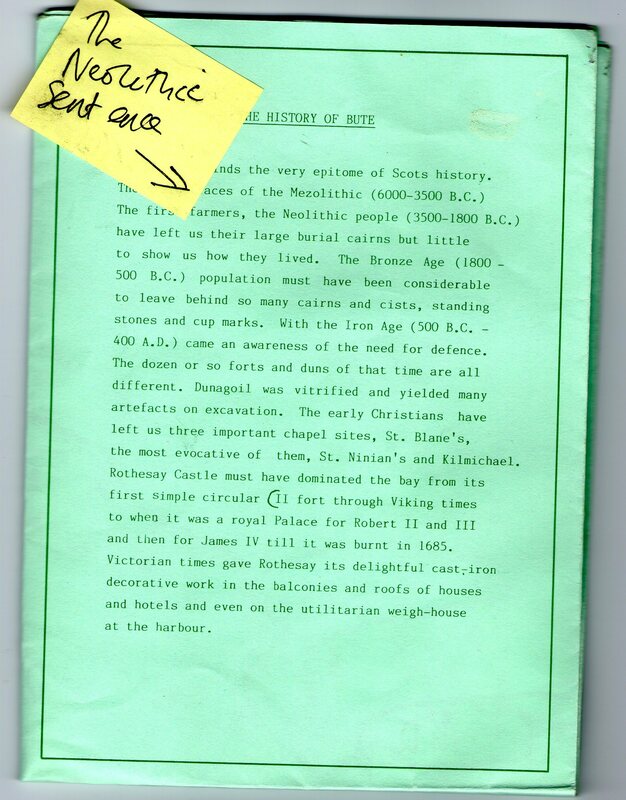 The Greenyards Roundabout excavations have not yet been fully published; see Mitchell and Hastie’s brief note in Discovery and Excavation in Scotland 11, page 170 (you can read this in CANMORE). For more on the Iron Age enclosure excavations, see Rideout, J.S. 1996 Excavation of a promontory fort and palisaded homestead at Lower Greenyards, Bannockburn, Stirlingshire, 1982-1985 in PSAS 126, 199-269. (PSAS back issues can be accessed free online via the Society’s webpage.) 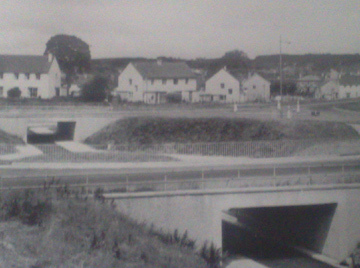 Background information on the Torrance and Muirhead Roundabouts came from the North and South Lanarkshire Council webpages, while the ethos behind the establishment of East Kilbride can be explored further at this webpage. The Georgetown roundabout photograph (the first image in this blog) was sourced from a website dedicated to ‘Flying the Flag for Merthyr Tydfil all around the World’; I hope I have done my bit for the cause here. 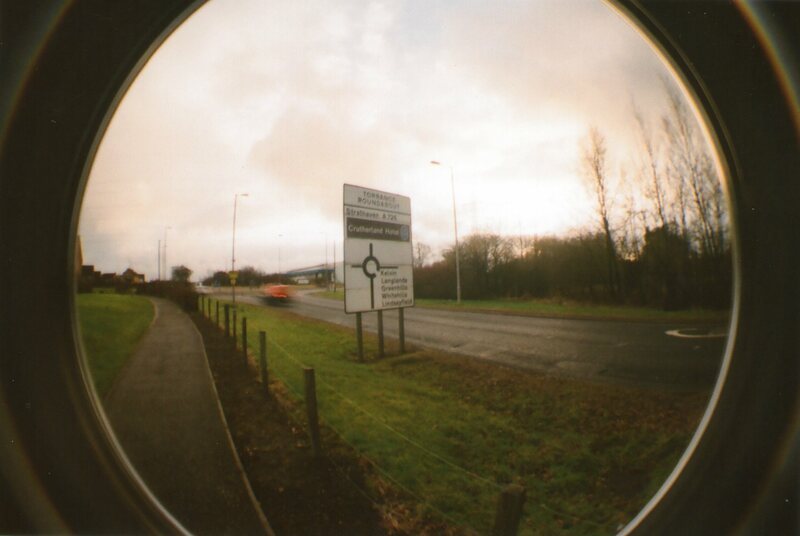 The Whitemoss roundabout photo was sourced from the East Kilbride News website. 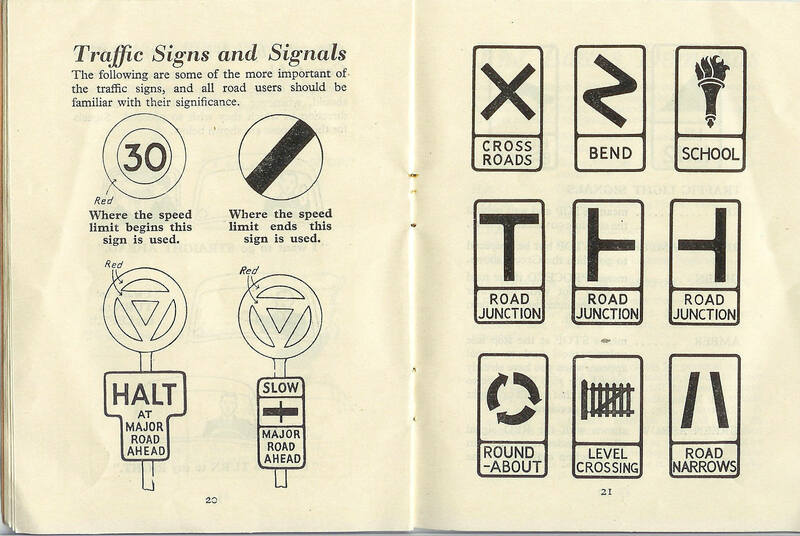 The extract from the 1940s Highway Code, and the Concrete Island cover, are available widely online, while the 1978 Highway Code cover is a free image sourced from the difitalimaj website. Jan took the photos of the Greenyards Roundabout as I drove up to and around it.